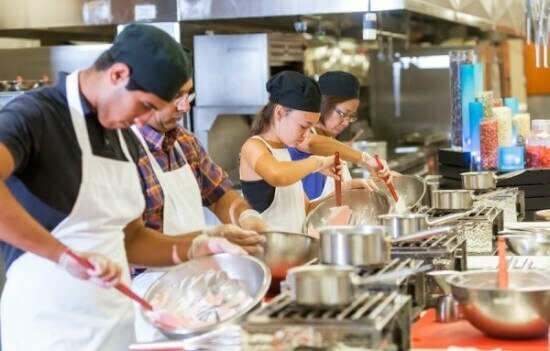 Disney World to offer new backstage tour that takes you into the Contemporary Resort kitchen with "Disney Family Culinary Adventure"
On July 8th Disney World will begin offering a new backstage tour that will take you right into a Disney kitchen. 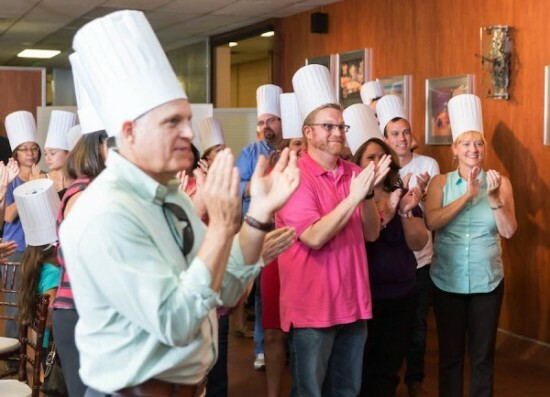 The new “Disney Family Culinary Adventure” tour whisks guests backstage for a fun, interactive evening that includes plenty of time with the Disney chefs, hands-on cooking and a festive, five-course dinner with beer and wine served in the kitchen by the professional catering staff. 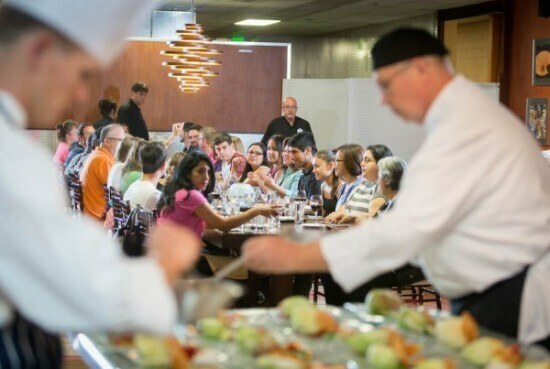 The backstage adventure takes place in the kitchen at Disney’s Contemporary Resort and can be enjoyed by both adults and kids. Mainly aimed at guests 9 and older, the evening starts at 5 p.m. with a friendly introduction to the massive catering kitchen. A maximum of 30 guests put on aprons, hats and gloves and are divided into five cooking groups. And every station has a wow technique, from the ease of making homemade butter to a fresh pasta with just three ingredients. The program is planned two evenings a week (days vary), starting at 5 p.m. Cost is $175 plus tax, $125 plus tax for ages 9 to 12. (Younger guests may have their own cooking station.) Complimentary transportation is provided for Disney Resort hotel guests. To book or for more information, call 407-WDW-PLAY. I am coming up to my 4th year at goal after having been a member of the "Big Woman" club for just about all my life 30+ years. I still struggle in mind with accepting the new me – seeing myself as a healthy, thin person. Your point is very well taken and I think I will be re-reading it. "I am not bound by who I was… I am not bound by who I am toqyo&duat;. Makes a great daily affirmation. Thanks for sharing.